The above Evidence-based guidelines for treating depressive disorders with antidepressants have recently been published. 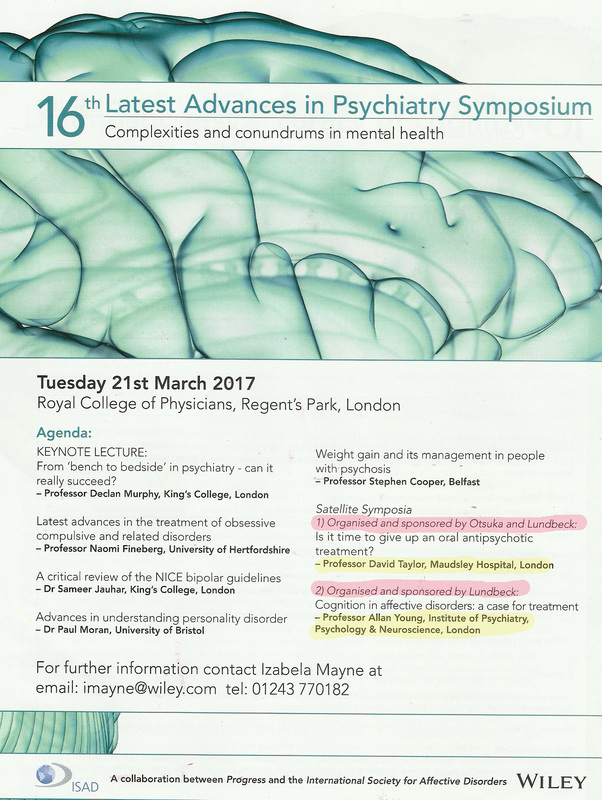 The British Association for Psychopharmacology are an organisation highly regarded by my profession of psychiatry. 12% of their funds come directly from the Pharmaceutical Industry. I have petitioned the Scottish Government to introduce a Sunshine Act. It is for this reason I am interested in transparency of financial conflicts of interest. I copied this to the General Medical Council. They did not reply. 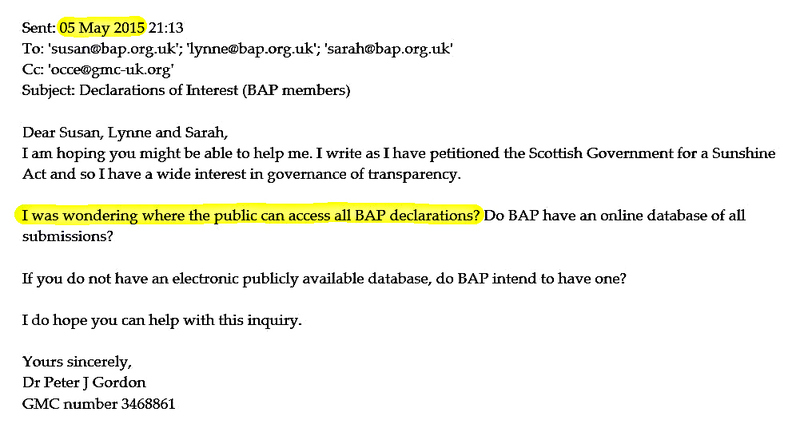 Here is what BAP provides in these Guidelines. It is worth comparing the limited amount of information provided here with the much more comprehensive information provided by NICE guidelines. It is not possible to find out how much doctors like these Guideline authors have been paid. The Academy of Medical Royal Colleges are of the view that all payments to individual doctors and academics should be mandatory.